Strength– Chennai Super Kings is the most controversial and successful team of all time in the IPL history. They have won the IPL trophy thrice and have been the finalist on 2 occasions. The team has retained all the 22 players and will surely come up with sound tactic under the leadership of MS Dhoni. The batting unit looks as strong as the Great Wall of China, including the names of MS Dhoni, Suresh Raina, Ambati Rayadu and Murali Vijay. They share 14,542 runs between them in the last 10 years. The figures speak volumes for the players. The all-rounder department is equally balanced with Harbhajan Singh, Shane Watson and Dwayne Bravo. The bowling department is in the safe hands of Dwayne Bravo, Mohit Sharma, Watson and Lungi Ngidi. Weakness – The age factor was supposed to be the weak link for the team, but there is no such weak spot. The ageing factors proved the critics wrong. They were the favorites and still the favorites this season. 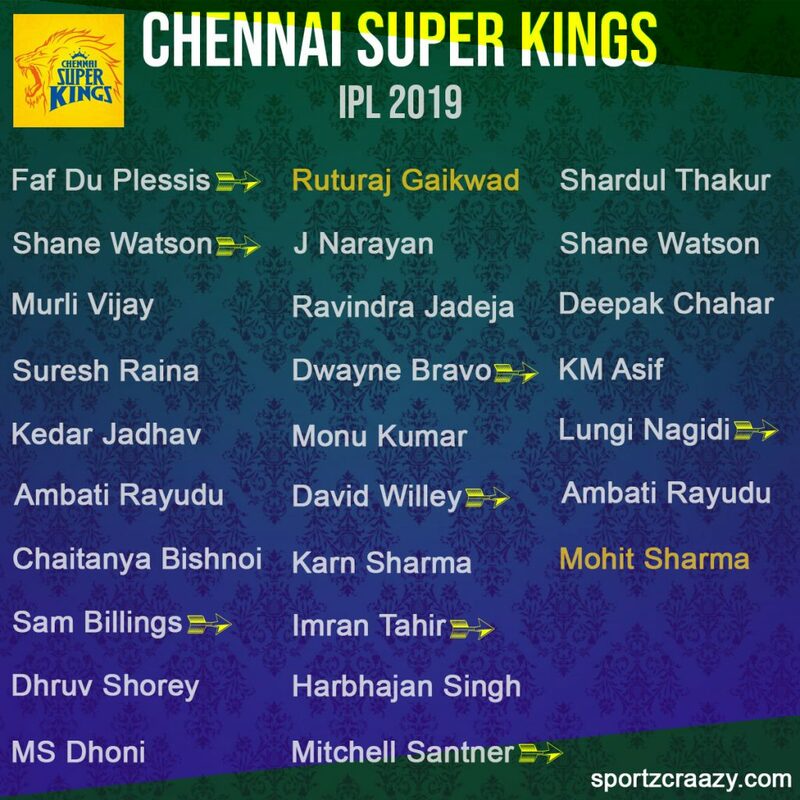 Players to watch out for – MS Dhoni and Suresh Raina are the players to watch out for this IPL 2019. This could be the last IPL for MSD and he wants to end the season as a champion.